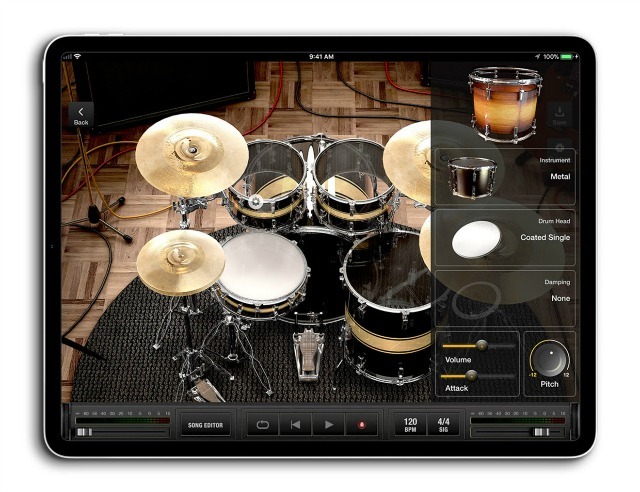 X Drummer turns any iPad into an easy-to-use, hassle-free drum track building machine. With cutting-edge AI technology, X Drummer quickly learns any song and then automatically finds the grooves and drum sounds that match the user’s playing style and feel. It features an easy-to-use interface where players can customize any and every drum component to fit their personal style. It is also a full-blown virtual drummer with a surprisingly human touch that can change its feel depending on the musical style selected. With IAA and Audiobus support, X Drummer allows guitar players or any musician to use it paired with BIAS Amp 2, BIAS FX or other music applications. Now every musician can have a virtual session drummer to jam with. X Drummer is available for $19.99 in the Apple App Store but is free through December 17, 2018. Along with the app, five studio-quality drum kits (80s Rock, Modern FX, Jazz, Progressive Metal and Indie Rock) and three MIDI groove packs (80s Pop, Classic Rock, and Heavy Metal) are upgradeable as in-app purchases.